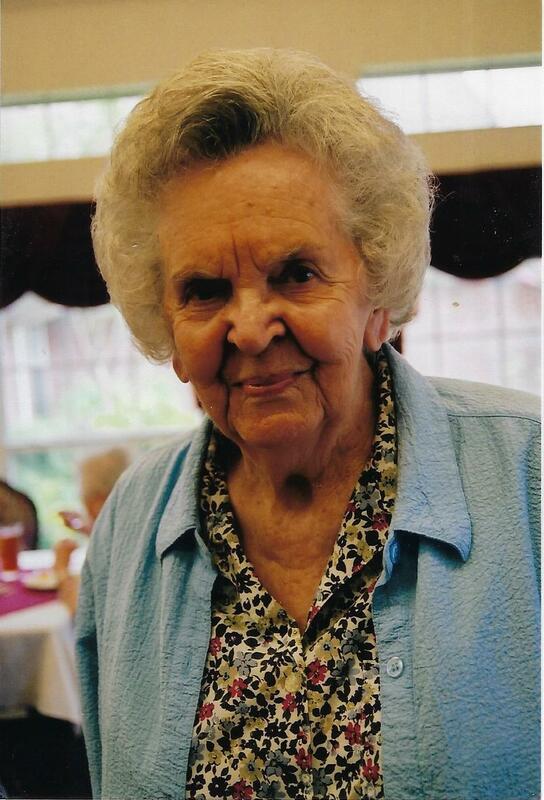 Nancy Joe Haywood, age 98, of Sulphur Springs, passed away at Carriage House Manor December 26, 2018. She was born to Silas Everett and Minnie Bell Smith Yarbrough December 14, 1920 in Hickory Creek. Nancy Joe graduated from Wolfe City High School and attended East Texas State University in Commerce where she earned her Bachelor’s and Master’s of Education degrees. She spent most of her teaching career at Wolfe City schools. She was a member of Delta Kappa Gamma professional sorority for educators, United Methodist Women, the Modern Study Club, Hunt County Retired Teachers Association, The Hunt County Cotton Museum (aka the Audie Murphy Museum), and United Methodist Crafty Ladies. She worked as an organizer of the Wolfe City Homecoming celebrations and was instrumental in starting the Hickory Creek Water Corporation. Nancy Joe married the love of her life Byron Fletcher Haywood in Bailey, February 6, 1946. They spent many wonderful years together before his passing in 1979. She and Fletcher raised two boys, Joe and Kenneth. Nancy Joe is survived by her sons, Joe and wife Carol Haywood of Mesquite, and Kenneth and wife Phyllis Haywood of Sulphur Springs, granddaughter Courtney and husband Carlos Soliz of Rockwall, three great-grandchildren: Gentry, Landry and Finley, and numerous nieces, nephews and cousins. She was preceded in death by her parents, husband, and sister Billie Milton. The funeral service will be at 11:00 A.M., Saturday, December 29, 2018 at First United Methodist Church in Wolfe City. Visitation will be one hour prior to the service at 10:00 A.M. Interment will follow at Mt. Carmel Cemetery in Wolfe City. Mrs Haywood taught me in 4th grade. My condolences to the family. Rest In Peace Mrs. Haywood. You were a wonderful teacher and role model to all who knew you. I was blessed to have you as my teacher for 4th grade. Prayers for the Haywood family.